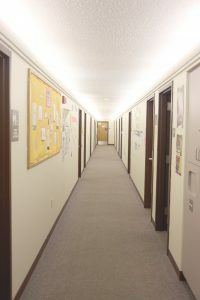 View down the hallway of the gender inclusive floor. Photo by Maddie Malat. As everyone settles into the new school year, Park Region has a plot twist thrown in with the usual housing mix. This marks the first year that a gender-inclusive floor has been incorporated into a residence hall on campus. This new floor is being presented as “an open space where people are free to discuss and live out their identities as they please,” said Alex Traynor, the floor’s RA. 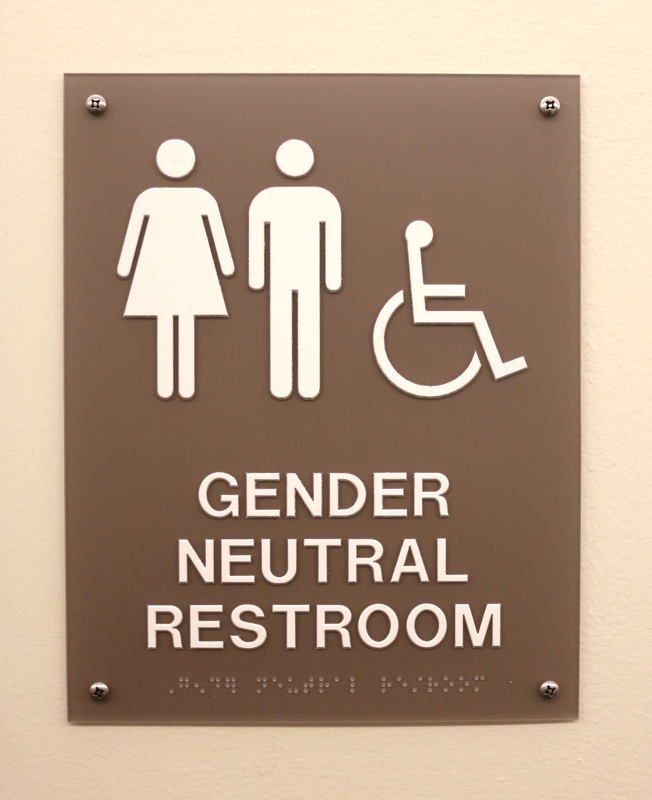 In order to make the floor happen, restrooms had to be transitioned into gender-neutral facilities. To apply, students had to establish their reasoning for wanting to live in a gender-neutral housing situation. Just like any other residence hall, floor events and dinners happen, though these activities are more likely to include discussions about opportunities to attend rallies where the residents can support LGBTQIA+ and their fight for equality. 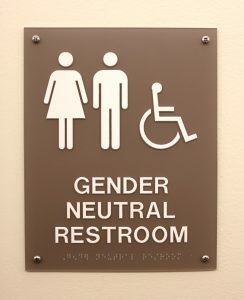 Gender Neutral restroom sign. Photo by Maddie Malat. Many people already deem the floor a success, and the expansion of gender inclusivity within other floors across Park Region has been proposed. “It still feels like a community even though we don’t have roommates,” said Kade Davidson, a resident of the new floor. The clear success of this pilot year is hopefully paving the way for more gender neutral opportunities across campus and more opportunities for the students currently involved to shape the future of the project. “Those who lived on the floor will have the opportunity to review next year’s applications — the residents have a large hand in sharing the SGI floor community,” said Traynor.